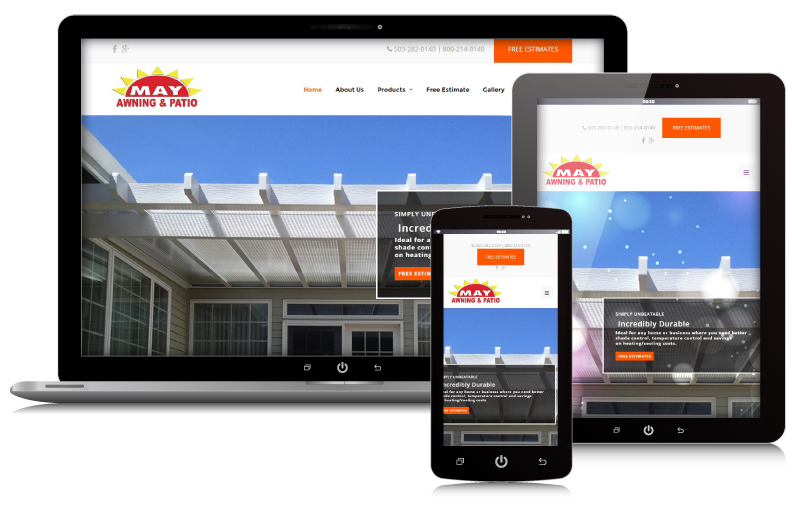 May Awning & Patio has been proudly serving the Northwest as a leading awning, sunroom and patio company. May Awning’s decades of experience with many different sunroom products has allowed them to be an expert in the field. When they knew it was time to take their company to the next level online – they looked no further and called in WebRock Design. WebRock Design reviewed the business thoroughly and understood the importance of showcasing the companies family values along with it’s expertise to a regional audience. Working closely with the owners, the design team, in collaboration with the content manager, developed a branding message that spoke to the character and skill of the May Awning business. The site, which listed first on all search engines, brought in 50% more customers within 6 months of launch.